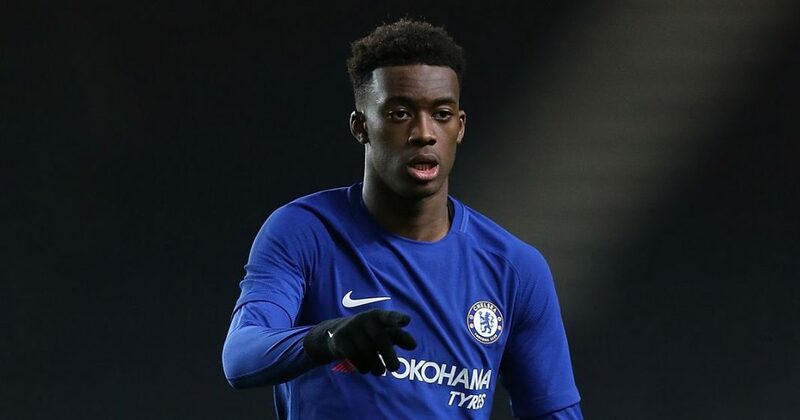 Multiple pre-season fixtures appearance appeared to suggest that 17-year old Callum Hudson-Odoi was destined for a big ‘breakout’ season at Chelsea, however the young Englishman has only had 60 minutes of game time this season, with that coming solely in the Community Shield defeat to Man City. Eden Hazard’s incredible start to the season has obviously left few fans frustrated that the youngster has not yet appeared in the Premier League, but some have been left baffled that there haven’t been run-outs in the League Cup or Europa League for Hudson-Odoi. Now according to the Birmingham Mail, managerless Aston Villa are being tipped to add Callum Hudson-Odoi to their ranks on-loan, to join fellow Blues youngster Tammy Abraham at Villa Park in the January transfer window. While Chelsea view the 17-year old has a future first teamer, it would appear that the club now see his short-term away from the club – adding to the already 40 players out at other clubs on loan deal. The Birmingham club already have five players on-loan in their bid to return to the Premier League, but they have languished this season, seeing Steve Bruce get the boot – winning only three in 12 Championship fixtures. Blues fans have long-called for more game time for Hudson-Odoi, but with the club picking up some impressive results so far this season, so it’s understandable that Maurizio Sarri doesn’t see an opportunity for the youngster in the first team thus far. However, with Victor Moses hardly impressing when coming off the bench this season, Hudson-Odoi could yet force his way into some substitute appearances. Links to Aston Villa are tentative at this stage and that could change depending on who the club decide to bring in as the new club manager – with Goal suggesting Thierry Henry could be named manager alongside former Blues captain John Terry as his assistant.